Marketing calendars are essential tools for any business. They’re fluid but organized, there to help you manage your campaigns through a month, a year, or even longer. Whether you use Excel, Google Spreadsheets, or another program, these turn your hours of marketing planning into a simple, coordinated resource. 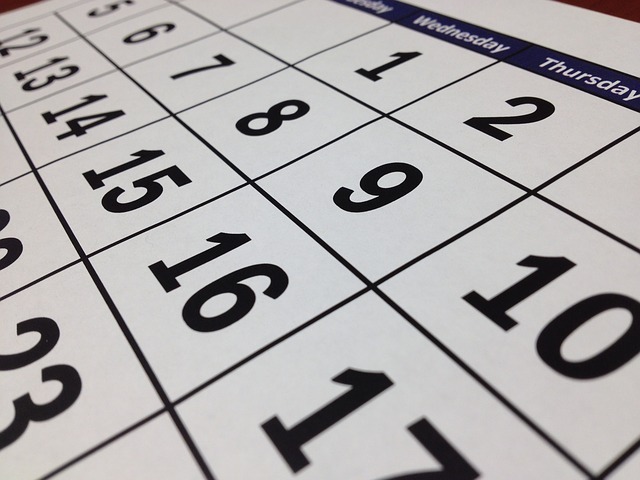 Here’s why you should be creating an updated, widely-used marketing calendar in your business! Creating a marketing calendar allows your team to stay on top of your branded messages during a campaign. You may have an overall product or service you want to push for a month or a quarter. Organizing and unifying your messages through a calendar can help your social media posts, blog posts, and advertising materials to work together on this goal. Along with promoting particular products, using a marketing calendar can synchronize your offers, like discounts and special deals. This allows you to space them out as you need for your business, rather than risking all of them becoming clumped together in one part of the year. From project managers and content writers, to creative team members, everyone will need to stay on top of their job and what must be done to proceed with the project. Coordinate their efforts through the calendar. This helps everyone see what their tasks should be, and how they contribute to each marketing campaign or project. This is not only good for keeping track of who does what; it’s good for helping your employees feel and stay productive. Marketing calendars helps managers–both at the franchisor and franchisee level–stay on top of all that work. Creating a marketing calendar holds each team member accountable for thier piece of marketing tasks. You can use the calendar to establish deadlines for each member and piece of the project as well. With the help of this tool, you’ll be able to make sure your projects, posts, and advertisements go out on time. Each marketing calendar helps you plan for the consecutive year. What worked and what didn’t? While trends come and go year by year, there will be some that resurface. For example, you might see what worked on holiday campaigns, and build on that in coming years. Using a marketing calendar can help you keep better track of how to use this to your advantage. Put your marketing calendar to use with Divvy! We can help you schedule your marketing campaigns and print projects. Call or contact us today. Businesses thrive on marketing campaigns–and what better way to market than signage? It’s visible, usually colorful, and meant to grab attention right away. What could go wrong with branded signage? Unfortunately in franchises, a lot could go wrong. It’s often too easy for franchisees to create signs and other marketing materials that go off-brand. 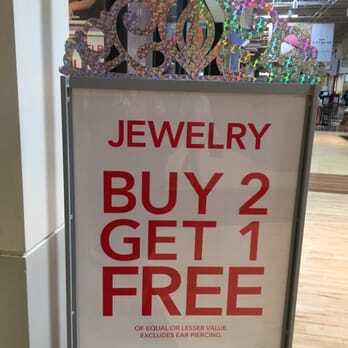 It might be a color, a font, or even a different offer. While it might not seem like a big problem, it can be devastating for campaigns. For example, if your food-based business needs to advertise a special deal or a new menu item, and one location doesn’t get the right signage, you could lose a lot of customers looking to participate in the offer! Marketing campaigns and promotions hold no weight if your franchisees aren’t on the same page visually. But that is where Divvy steps in. In these shipments, we print any item you might need for your campaign. These could include flyers, cards and envelopes, apparel, window clings, store graphics, menus, displays, and more. One franchise might only need a shipment of window clings, while other campaigns require all of the above for a large-scale marketing promotion. The best part about pack-outs is that each shipment arrives at each location simultaneously, with the exact same pieces and materials. Every franchisee will receive exactly what they need for their campaign. This saves each location from having off-brand signs, different offers, and unapproved images. Your campaign will run smoother than ever with every franchisee participating this way! Though it may be easy to print all the necessary products, getting them organized and off to their destinations can be trickier. But not for Divvy! Getting those products to businesses like Port of Subs, Bahama Bucks, and others in a timely manner is where we really excel. Divvy does not deliver your print collateral back to you (the franchisor) for you to ship. That would be a waste of your time! Instead, we send it out for you to every individual location, saving you time and stress–and making sure everything gets there in time for your promotion to begin. Franchises order their promotional items via our web to print storefronts and API. Divvy then prints every single product just the way you need it. Need one location to receive something different from the others? We can do that, too! We will then drop-ship each set directly to every location, meeting your time-sensitive needs. Divvy has a great deal of experience doing this for large orders covering multiple stores. We help franchises meet their tight deadlines and pull off successful marketing campaigns and promotions by doing everything in one place, where others are at the mercy of multiple shops and their variable or unreliable deadlines. Divvy’s ability to perform these pack outs in one location and ship them out to each franchisee gives us the edge compared to our competitors. Marketers and content creators are always looking for the next big thing to help send their brand’s message. And in the last few years, it has been video. Video continues to skyrocket on all social media platforms. But for many companies, it’s not yet perfect. Why? Because they don’t use subtitles! If you don’t already, consider adding subtitles to all of your videos. Here’s why. This should go without saying. You want your content to be accessible to everyone. And lip-reading is harder than you might think. Impossible, really, if your video is full of voice-overs! Rather than making Deaf or HOH viewers guess at what your actors are saying, provide subtitles or at least a summary under the video on your website. On the rise of videos in social media, viewers found a new peeve: videos playing automatically, and usually at high volume. Rather than announce to everyone what they were watching, they skipped over videos quickly. Even though many platforms now have Mute as a default volume setting, scrolling past can still be a problem if you don’t have subtitles. However, adding subtitles can guarantee a higher viewer count, since people can watch them silently on their train or bus commute, or while on break. Even if your viewers don’t eventually follow through, subtitles help get the message across more easily. Whether your audience members are auditory or visual learners or some combination, having both can reinforce the message in the video. As companies become international and the Internet continues to grow, many social media users view videos in different languages. In the United States and Canada, a large portion of your customer base might not even speak English as a first language. Including subtitles on your videos facilitates the latter’s comprehension of your message. Plus, having subtitles means you could transport your content more easily to other countries to expand this base. Yes, you can use subtitles for your SEO! Closed-captioning can make your videos more searchable, increasing your viewers and site traffic. Plus, you can more easily use your scripts as future content. Who wouldn’t want content made simpler? Most video creation apps allow you to add subtitles right away. If the app you’re using doesn’t include this feature, you can easily add an .srt file with your subtitles. These tutorials can help you out with creating subtitles for your videos, and attach them to Facebook videos. Make sure your text isn’t too small, or that it doesn’t form a block of text. Just include a line or two that keeps up with what the actor is saying. Even if you have to leave out a few filler words, that’s okay. Your viewers might keep on scrolling if they can’t read the text fast enough. Don’t fall behind the times! 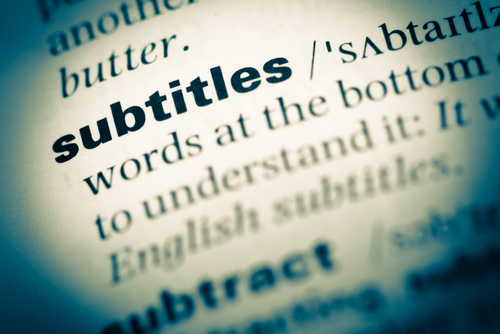 Get subtitles onto your videos today, and keep your hard work accessible to all! Not all marketing is created equal. When choosing the audience and marketing tactics for your new business, you’ll need different tactics depending on the style of your business. Professional buyers from another business are not at all the same as a customer walking into a store or clicking on your website. These two types of business transactions are called B2B and B2C. The differences of B2B vs. B2C marketing are few, but vital to the success of your business. What is B2B and B2C? B2B refers to “business to business” where B2C defines businesses that market directly to their end customers. Both sides will use similar marketing programs, such as events and advertising. However, their end goals and execution are very different. The goal with B2C marketing focuses primarily on customers. And, as such, this marketing serves to drive as much traffic as possible. This marketing can be more aggressive, since B2C companies need to turn shoppers into buyers. These shoppers will be prone to impulse or emotion-led purchases. Your campaigns, then, have to capture attention right away. Plus, you will need to strengthen the image of your brand with repetition and imagery. The big brands accomplish this very well, and their wide target audience can immediately recognize and trust them. B2C marketing will also generally use more discounts, deals, and vouchers. Their average consumer is looking for a deal, and these kinds will hold their attention and potentially draw them in. As you market directly to consumers, focus on your product and making your brand memorable. It’s okay to lean on emotion over logic to get quick purchases to happen. Also, be sure that your company provides great customer service! It’s not just enough to turn a shopper into a buyer; you’ll need that buyer to come back! Generally, business-to-business transactions involve selling a process or service to another company. Sometimes, in the case of Divvy, it’s both: you’ll have the web-to-print services to facilitate your branding and marketing, and the products to put in your stores. However, we still focus on selling to other businesses. The marketing strategies used by B2B companies have to focus on relationships. And, since they sell to businesses, their clients’ decisions have to be based on reason. Businesses won’t make impulse purchases, and most won’t rush their buying decisions. Business buyers will also have more experience than regular consumers. They may know more about the industry than even you do, and do far more research into comparing your product or service with other brands. So you will need to speak to a more sophisticated, educated audience. So, when marketing B2B, center a long-term marketing plan around building a strong, trusted relationship and logic to help your product and services succeed. Whatever your business, Divvy is here to help your marketing campaign succeed. Contact us today to find out how we can partner with your business. Franchisors need to run successful marketing campaigns to stay afloat. But a marketing campaign or promotion will hold no weight if the different franchisees vary. So each shipment will need to arrive at each store or franchisee simultaneously and contain the exact same pieces and materials. These are called pack outs. But these are difficult to do, especially in a timely manner. Though it may be easy to print all the necessary products, getting them organized and off to their destinations can be trickier. That’s where Divvy steps in. Divvy easily creates quality marketing materials our franchises need to promote their products effectively. Pack outs can consist of simply printed flyers, cards and envelopes, apparel, window clings, store graphics, menus, displays, and more. The franchisor may have any number of products necessary to make their promotion successful. It all depends on that franchise’s needs to run a successful marketing campaign. Divvy excels at this. Using our on-site printers in Lindon, Utah, we create your marketing materials using your brand and your specifications. Each piece will be accurate to your company and its image, ensuring your franchises will all be able to succeed by using your brand. Printing is simple for Divvy by Alexanders. But getting those products to businesses like Port of Subs, Bahama Bucks, and others in a timely manner is where we really excel. Other businesses might just deliver the printed products back to the franchisor for shipping to each location. This delays the marketing campaign severely. Plus, adding in those extra stops just allows more room for serious error. Divvy, however, does it all for you. Franchises order their promotional items via our web to print storefronts and API. Then, Divvy creates each product to your specifications on-site. This could even include variations to certain locations to suit their needs for this campaign. However the franchisor needs it to work, Divvy will fulfill it. We will then drop-ship each set directly to the store, meeting their time-sensitive needs. All franchisors, big or small, need to create powerful and attractive ad or marketing campaigns. These campaigns centralize around one message across many marketing channels. Here are some of the best types of marketing campaigns as shown by the biggest franchisors out there, and how you can integrate their tactics into your own campaign. Multiple franchises have successfully crowdsourced their content with a campaign using social media. One such franchise is Applebee’s and their “School of Fantography” in 2015. This 90-second video educated their fans on good Instagram food photography before opening up the campaign to their followers. Fans then captured incredible food shots until Applebee’s had enough images to fill out their Instagram for months. This kind of campaign, particularly with food photography, worked well with young people and with photographers, not just patrons of Applebee’s. If this kind of campaign works for your business and audience, go for it! Getting people to take pictures of your products gets you some really excellent photography and gives you the ability to use that material for months. Big brands like Coca-Cola easily create videos and commercials for any occasion, and it can be difficult for smaller franchises to emulate them. However, thanks to Taco Bell leading the way, there might be simpler, shorter ways to reach your audience. The food franchise released a Snapchat movie to promote Locos Tacos in 2014. This was filmed and released in 24 hours–which may be a perfect model for smaller companies unable to get sets and actors but who strive for authenticity. With the nature of Snapchat, the Story was gone in 24 hours after release. But it sparked a fire and launched Taco Bell onto using Snapchat consistently for their marketing campaigns. Knowing their audience the way they did and stepping onto a popular but then-underused social media platform engaged their followers and instigated a creative social media campaign. Look for ways you can connect with your audience in similar ways. And follow their model for creating short films; videos continue to be hugely important online. Using only a bottle with no distinct shape, Absolut vodka made their look the most recognizable in the world with a simple print campaign. At the start, Absolut had 2.5% of the vodka market. After a successful 25-year campaign–the longest ad campaign ever–they now import half the vodka in the country. Make your product stand out, no matter how it looks. By using a campaign that gets your intended audience familiar with your brand, you solidify the image of your brand in their minds. Then they’ll picture your business every time they think of that particular service or product. This is also a good way to gain followers and become more popular via social media. Making yourself distinct–even if your product or service seems generic–can help introduce newcomers to your business. Budweiser’s “Great Taste, Less Filling” campaign took on the argument that light beer couldn’t taste good or that it wasn’t for “real men.” Using masculine models, they challenged the stereotype with a slogan and ad campaign that’s still in use and memorable to this day. If there’s a stereotype about your product that you know is untrue, challenge it with a similar ad campaign. Prove that your product can have a wider reach, or that it fits your niche better than the critics think. Wendy’s catchy and simple “Where’s the beef?” campaign caught on quickly by pointing out their competitors’ faults. But this wasn’t the only reason this was a successful campaign. Wendy’s knew when to let the ad peter out and move onto a new idea. A once-successful campaign–especially in commercials–can falter and backfire if it’s overplayed or forced on potential customers long after it’s stopped being funny. The biggest brands are your model for marketing and advertising. While you may not have the same budget, emulate them as often as you can! Using the same tools as large businesses will only help your company succeed. Check out these other tips on marketing like one of the big brands. When you’re planning a marketing campaign for your small or independent business, postcards stand out as a proven and cost-effective way to engage your audience. Well-designed postcards are easy for your clients to hang onto, unlike emails that can get trapped in a spam folder or deleted. Plus, according to the USPS, recipients are more likely to read or scan postcards than many other marketing materials. Here are a couple of simple guidelines to help your postcards be as effective as possible for your audience! Some postcards fail because they do not include any sense of urgency or create a call to action for the recipient. Without a call to action, your audience will have only information—which can quickly be forgotten. Include a “next step” for your audience, and watch your sales improve! This should go beyond simply “call us now!”—be specific for maximum effect. Tell them why they need to contact your business today, rather than in a week. If you can, include an invitation to an upcoming event, such as a grand opening or sale. Or, you can use a promotion like a coupon to encourage your audience to engage with your business in a certain time frame. Recipients often associate imprinted postage, or indicia, with spam or junk mail, and your postcard may be thrown out before it can deliver your message. Take that extra step to purchase a first-class stamp, which will look better and more personable. Remember also to check over your copy for any grammar or punctuation-related errors. Mistakes such as these come across as incautious or unprofessional, and can drive away your customers. Even if you have run it through a spell-check, it’s good practice to check for awkward phrasing or unnecessary repetition. Before printing your postcard, read it aloud and/or send it to someone else for a review. The more eyes, the better—someone may catch something that you have missed! Also, though it may seem obvious, but double-check your postcards for phone numbers, website URLs, and physical addresses. Make sure that your card contains the contact information necessary for recipients to act on your call to action. This removes the recipients’ need to look you up and possibly lose interest in the meantime. While it’s good to change up the design to keep it from getting stale, you’ll need to use similar colors, fonts, or taglines on all your postcards to create an association between your business and your audience. It’s important to maintain consistency and frequency so that when a recipient of your postcard campaign thinks of a certain type of business, they picture yours. Changing your branding without warning or otherwise being inconsistent may generate some confusion, especially with new clients. Along with checking details, it will be worth your while to invest in good design and copy writing. Though not every recipient will know the nuances, they may notice that something is off, and you’ll lose credibility. Those who do may not respond well to mistakes, and you risk losing their business. Postcards are easy to print and cost-effective, so don’t skimp on these important factors! Your postcards deserve the very best efforts, as does your audience. With these simple tips, you’ll soon have an excellent and engaging marketing campaign! When you include links to your website in the bio of your guest blog posts, it creates backlinks when your blog is published on anther site. This increases your SEO, especially if you are publishing on a quality, trusted site. The more important the site, the more potential you have to earn higher SEO rankings, which means the more likely you are to be seen, and the more business you and your company can earn. Posting on a different site also gives you the ability to reach a different audience. The blog you post on will have loyal viewers of its own, and these loyal viewers can now meet you, learn from you, and learn about your business and find a trusted new resource in the field. Pretty sweet, right? If they really like you, not only will they return again and again to your blog/company site, they may follow you on social media. The more people who visit your site, and the longer you stay, the higher your SEO rankings. But guest blogging isn’t just about you. You can help increase the SEO of the site hosting you. How? Simply write a post on your own blog summarizing what people can learn at your guest blog post, and link to the other blog. This provides backlinks to the site hosting you. In addition, your loyal blog readers can visit the host site, learn new things, and potentially become loyal followers to the host site. It’s no surprise that with such a beneficial partnership already in the works, you and the host site can build a working relationship where you support each other beyond guest blogging. Additionally, you can also build relationships with readers by responding to their questions and comments in the fields of your guest blog post, potentially bringing you more business. The more quality content you write, and the more people see it, the higher you can rank in Google, which means more people visiting your site, and even higher SEO rankings. When people learn they can rely on you and when you consistently provide quality content, you can become a trusted leader in the industry. Pretty sweet, right? Remember, not all of this is going to happen overnight. It takes time to reach out to bloggers, write quality content, and watch your SEO scores start to climb. If you need help guiding you through the process, or if you are interested in learning about more marketing tactics to help you, your franchise, or your business grow, contact us today. We’ll help you get started. If you’re constantly interrupting or talking over your customers, they’ll fill disrespected. Not only that, but they’ll be unable to communicate their needs to you. Remember, the whole point of selling a product is not to sell the product, but to meet the needs of your client. Let your customers do the talking so that you can find out what your customer needs, and provide it. This will help sales happen naturally, rather than scaring potential customers away by stuffing unwanted products down their throats. A business can’t make recommendations unless they fully understand the benefits of their product and how it’s different from the competition. An American Express survey found that 78 percent of consumers have abandoned a purchase because they had a bad experience with the company’s representative where, often, they knew more about the product than the representative did. Phone calls can be a beneficial marketing tactic for the right business, but too often business call at inappropriate times. Do your research, and don’t attempt to call your clients early on a Saturday morning, or during the family dinner hour. Additionally, if you do cold call, make sure you don’t do it aggressively. Though charities and donation agencies all have a great cause to support, particularly as the holiday season gets closer, no one will want to support your agency if you call once a week or more. Honor your do-not-call lists. In a similar vein, everyone loves a good discount, but not everyone needs a new discount in their mail everyday. Sending weekly deals and specialty announcements about unique promotions are a great way to keep your customers informed and help encourage purchases. However, urging your customers everyday to come back and buy something new is going to get you nowhere but the spam folder. Your customer service and product quality must be consistently good. Otherwise, customers will stop trusting you and your brand, and stop purchasing. Don’t scare away your loyal customers by giving them poor quality service or products. You want to give your customers a deal while at the same time increasing your margin. So what can you do? Many people would jump straight to the conclusion that a discount is what they need. While discounts have their place in sales and conversions, if you aren’t careful, discounts can lead to brand degeneration, and actually drop sales long term, which means loosing profit and doing more harm than good to your sales margins. The point of a discount is to save customers money and encourage them to make a purchase. However, if you have too many discounts, your customers may begin to expect them and hold off on purchases until the next discount rolls around. Additionally, discounts are associated with cheap product, so over time, too many discounts can degenerate your brand. So what can you do to provide your customers with incentive to buy that won’t hurt you long term? Instead of giving a discount that drops the value (both literally and perceived) of an item, try instead adding value. Not sure what we mean? Below we’ve listed four successful ways to add value for your customer. Store credit can come in a variety of forms, from online credit towards your next purchase, to physical “discount dollars”, but they all have the same thing in common. These credits are earned when a customer makes a purchase, and often times can only be used in the event of an additional purchase. 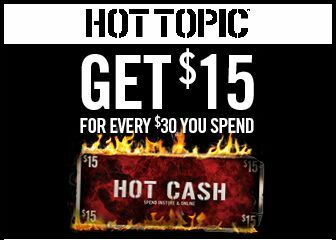 This is a tactic Hot Topic does with their Hot Cash. Make a purchase, earn hot cash, which will be redeemable after a certain date (usually a couple weeks to a month in the future). This allows their customers time to accrue hot cash, and nudges them to return at a later date to make additional purchases. Because these credits are perceived by clients as additional, free money, customers will feel as if they are wasting actually money if they do not return and use the credit to make an additional purchase. Want to make your customers feel special? Provide exclusive coupons for exclusive customers. For example, offer exclusive coupon codes to your Facebook followers, or your email list, or to anyone who leaves a comment on your business blog. And yes, these coupons can appear in the form of discounts, but the difference between a coupon and a regular discount is the perceived value. When something is made exclusive only to a certain audience, its perceived value increases, meaning customers are more likely to use exclusive coupons offered to them. If you have an online store, you’ll be interested to learn that roughly 70% of shopping carts are abandoned. That means a customer visited your site, browsed your store, and even considered purchasing an item by adding it to their cart, but at the last minute, they changed their mind. Why? The number one reason is shipping fees. 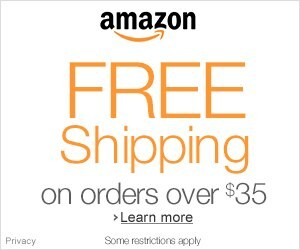 You can entice your shoppers to take that last step to purchase an item by offering free shipping. Amazon has been doing this successfully for many years. And see that little clause at the bottom? Shipping is only free on orders over a certain money amount, providing incentive to make additional purchases in order to earn free shipping. Nothing makes a customer feel more valued than being offered an extra gift when they make a purchase. Not only can such tactics encourage customers to make a purchase and feel like they got a great deal, it can increase your sales margin. And, by having these deals available for only a limited amount of time, it can provide the same urgency as other discount deals while providing more value to your customer. Claire’s is an example of a store that successfully utilizes bonus gifts, often on their jewelry sales. Earn repeat customers and encourage more purchases by giving customers value, and encouraging customer loyalty. Not sure where to get started in marketing your brand or franchise? Contact us in the form below. We’ll provide you with suggestions of how to better manage your brand to earn loyal customers.